- Produces a Cathedral Pattern. 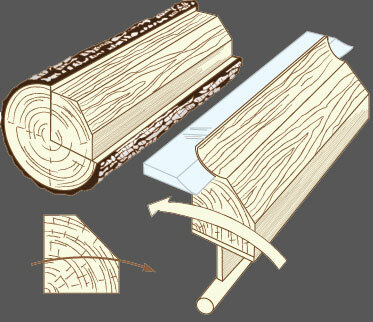 - Angle of cut is 15% to the radial to minimize the ray flake effect in oak. 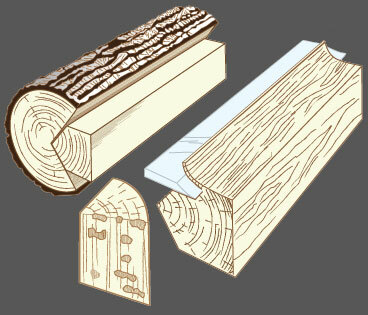 - In some species, when slicing through Medullary Rays, a flake pattern is produced. This is typical with oak. - The most common matching type. 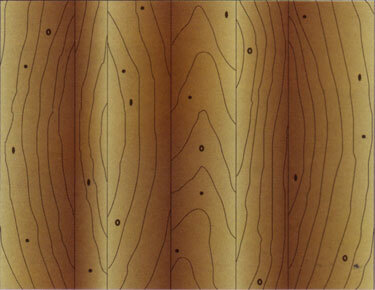 Alternating leaves of veneer are turned over, so that adjacent leaves are opened like the pages of a book. 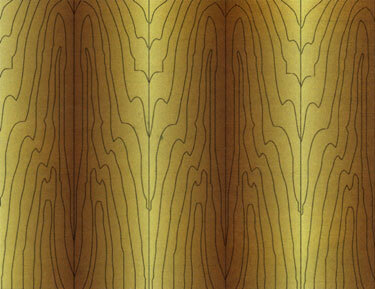 Visual Effect: Veneer joints match, creating a symmetrical pattern. Yields maximum continuity of grain. Prominent characteristics will ascend or descend across the face. 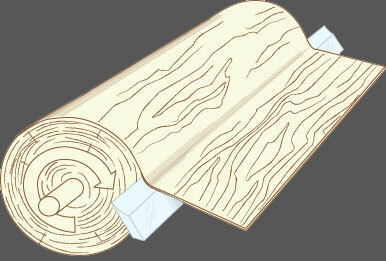 -Adjoining veneer leaves are fed out in sequence (without being turned) so that the same side of the veneer leaves is exposed. 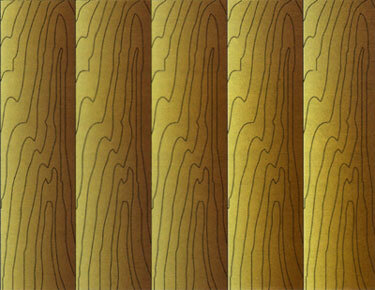 Visual Effect: Figure repeats but grain does not match at joints. Enhances color uniformity because all faces have a similar light reflection. 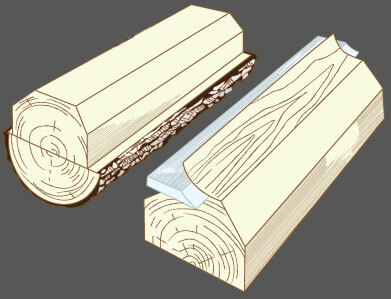 Joints may not be noticeable if grain is straight; vertical slant may occur if grain is not exactly vertical. - Veneer leaves of the same species are selected and assembled without regard to color or grain, resulting in variations, contrasts, and patterns of color and grain. Pleasing appearance is not required. Visual Effect: No visual continuity across the face should be expected. 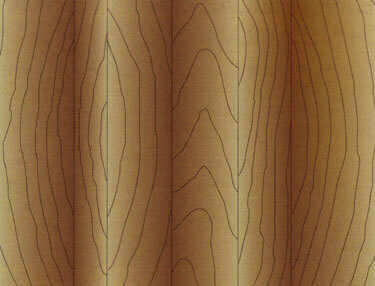 - Veneer leaves are matched by color similarity. Visual Effect: Provides an overall pleasing appearance. No sharp color contrasts are allowed at the joints. Grain characteristics may not match. - Dissimilar (in color, grain, or width) veneer leaves of the same species are specially selected and assembled in a specific order to create a particular look. 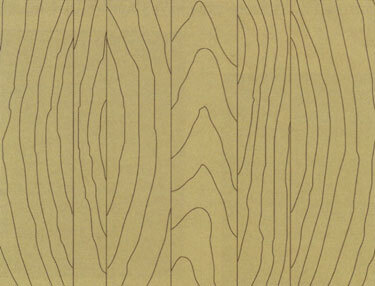 Plank matched faces are sometimes grooved at the joints between veneer leaves to simulate lumber planking. Visual Effect: Casual or rustic effect. The components may be of different widths within the panel face.